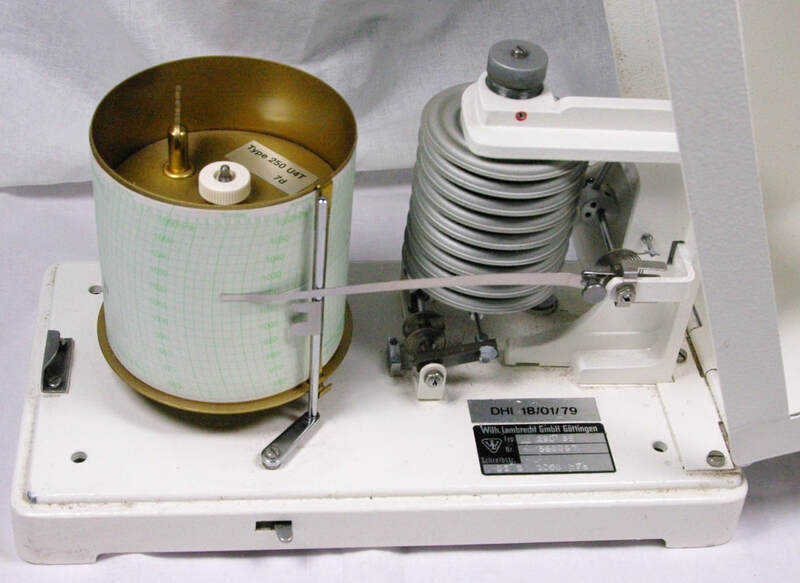 ​This is a Lambrecht Model 290 S9 Barograph. It is shown in the 1986 Lambrecht catalog available on this website. It has special inclination and acceleration damping for shipboard use. A sticker from the German Hydrographic Institute (DHI) indicates it was approved in January 1979. The spring-driven clock works well.